Anthony Joshua is eagerly anticipating his return to the ring, and Britain’s world heavyweight champion says he is ready to ‘go to war’ if he has to. The 27-year-old will look to defend his IBF title against Bulgarian Kubrat Pulev next month, in what will be Joshua’s first fight since he defeated Wladimir Klitschko in April at Wembley Stadium. 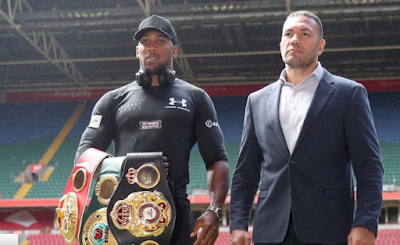 Pulev, 36, is a two-time European champion himself, but the Joshua’s opponent made a striking omission in their first pre-fight press conference, and in particular, the magnitude of the challenge he faces.